Long delays for people trying to claim housing benefit in Blackpool are putting them at risk of being left homeless, it has today been warned. New applicants in the resort waited an average of 31 days for their request to be processed last year – one of the longest delays in the country. More than 600 households were classed as homeless in Blackpool in 2017/18 – and charities have warned delayed benefits payments will drive more people out of their homes. Last year Blackpool Council received 5,727 new applications for housing benefits. 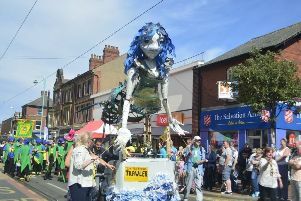 The figure is one of the highest in England and more than double the number in Preston , which has the second most of all Lancashire councils. But the high volume of requests means applicants were left waiting a month before they could get any money, the most recent Government figures reveal. The national average is 22 days while councils are given a 14-day target to respond. Blackpool Council said it has since brought the wait down in line with the national average. The figures show council officers spent a total of 177,937 days processing new applications in 2017/18. Another 48,478 changes of circumstance were registered with the team, taking an average of 11 days each to process. Coun Graham Cain, cabinet secretary for Blackpool Council, said: “New housing benefit claims make up approximately 10 per cent of the claims that we receive. “They do take longer to process as they are entirely new claims but we identified that 31 days was too long and added extra resource. “It now takes on average 22 days to process a new claim. Fylde Council received 1,093 new applications last year, taking an average of 27 days to process, while Wyre Council 22 days on average to deal with its 1,543 requests for support. A DWP spokeswoman said: “We spend around £23bn a year on housing benefit. The Government is currently rolling out Universal Credit across the country, which is due to be fully implemented in the resort by the end of this year. Claimants applying for housing benefit under Universal Credit have to wait five weeks, which includes a four week assessment period. Ashleigh Walmsley, shelter team leader at Blackpool charity Streetlife, which helps homeless young people get into accommodation, said: “If people have to wait for a long period of time the cost of living could raise. “If they are moving property and the landlord won’t wait, they could be kicked out of the property. This is something that Streetlife is trying to prevent. She said improving the time taken to process housing benefit applications would lead to fewer young people living on the streets. Parishioner Louise Ashworth, who works on multiple outreach initiatives in churches across Blackpool, said claimants faced enough difficulties without having to worry about possible delays. She said: “Even making a claim is nigh-on impossible. Many of the people who are making these claims don’t have a fantastic education. I have a degree in education and I have taught in mainstream schools for 35 years and I can barely make sense of the forms. There are so many obstacles.